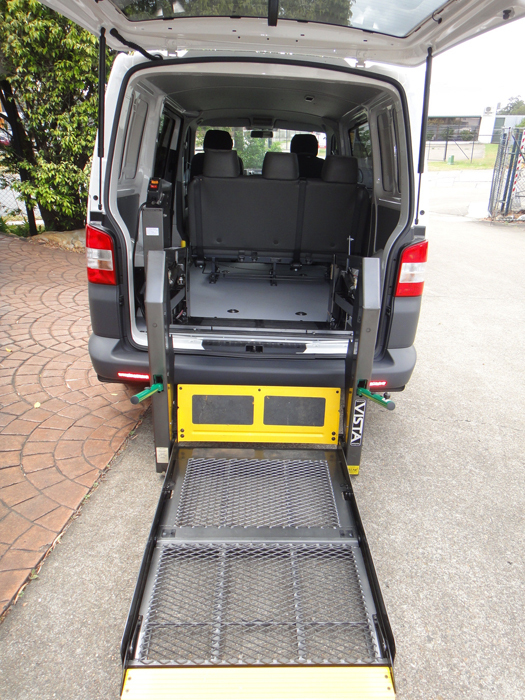 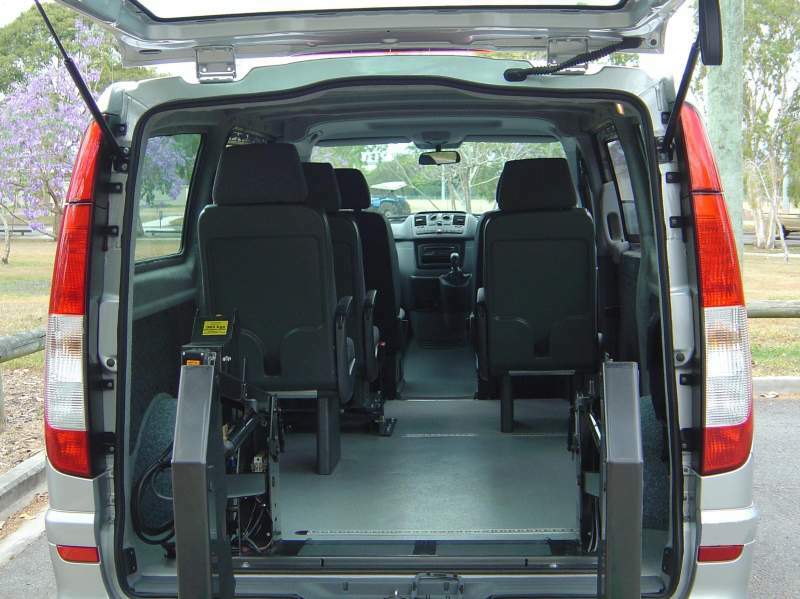 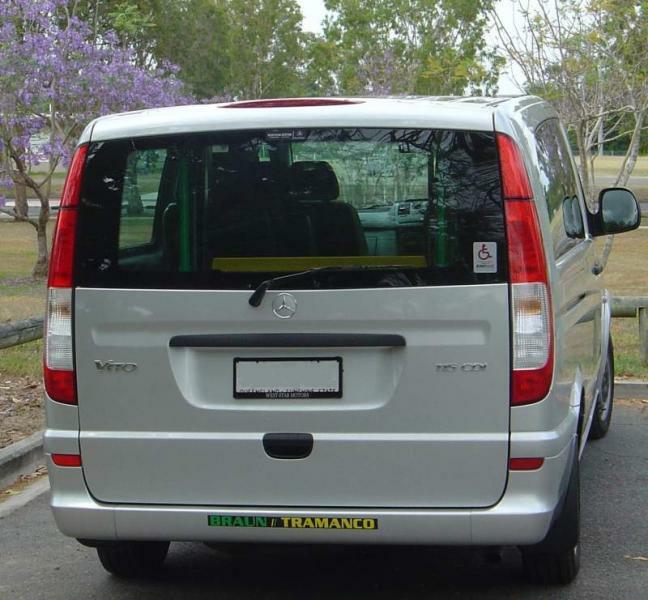 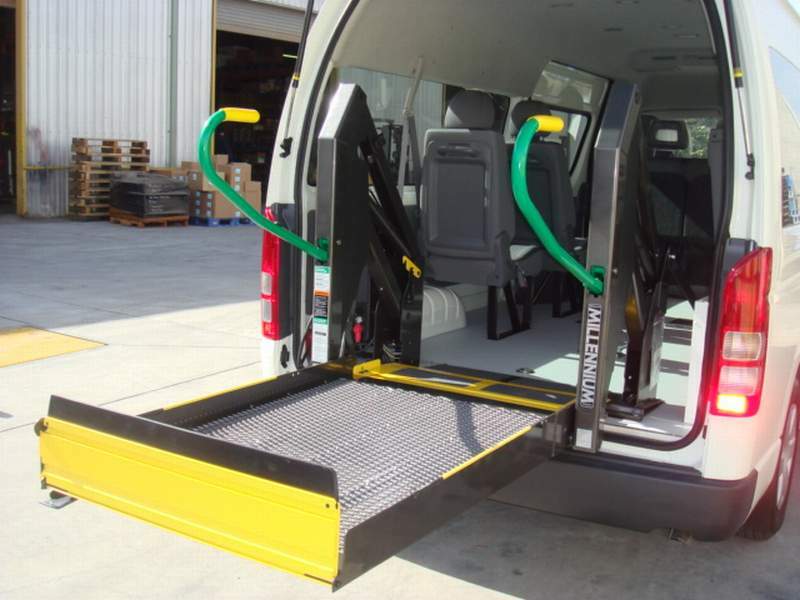 Tramanco specializes in private (consumer) conversions for wheelchair access to suitable smaller vehicles such as the Mercedes Benz Vito van, as shown here. 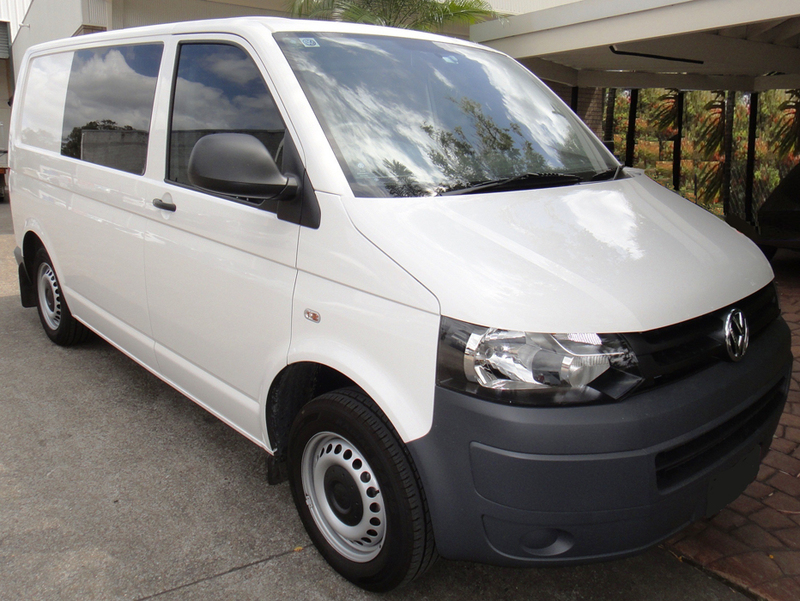 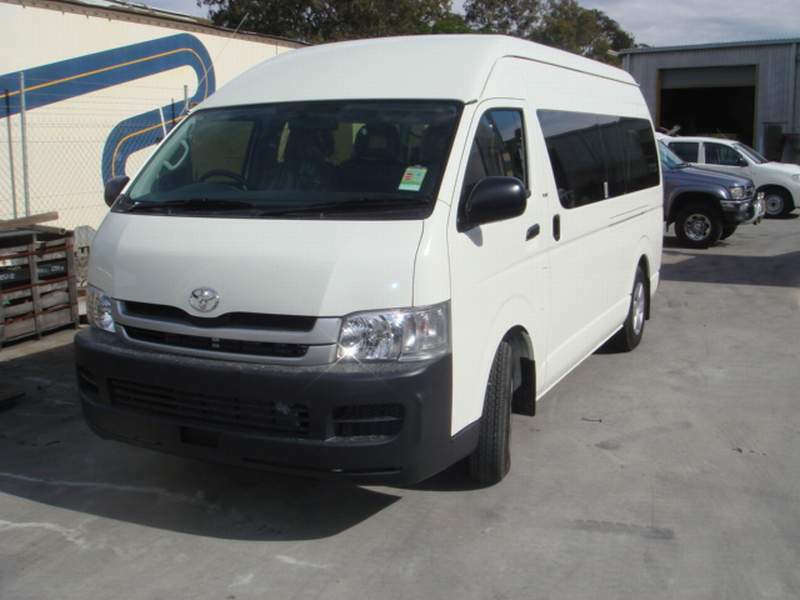 VW Tranporter or Caravelle, Peugeot Expert and Citroen vans, Iveco Daily, Fiat Ducato, Toyota Hi-Ace and Ford Transit to name a few. 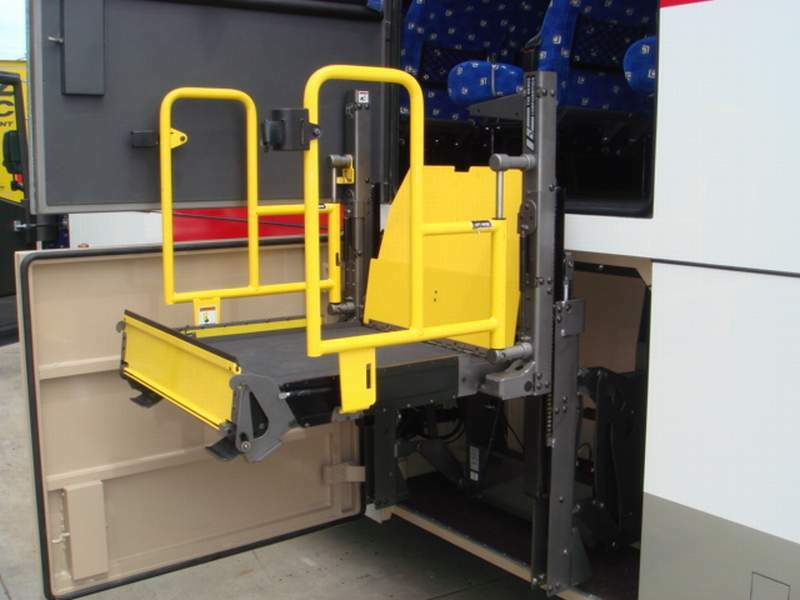 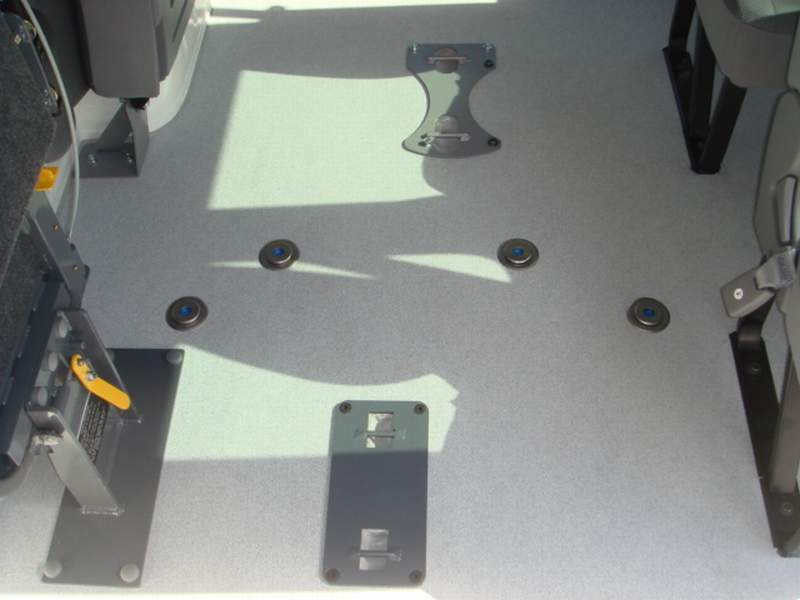 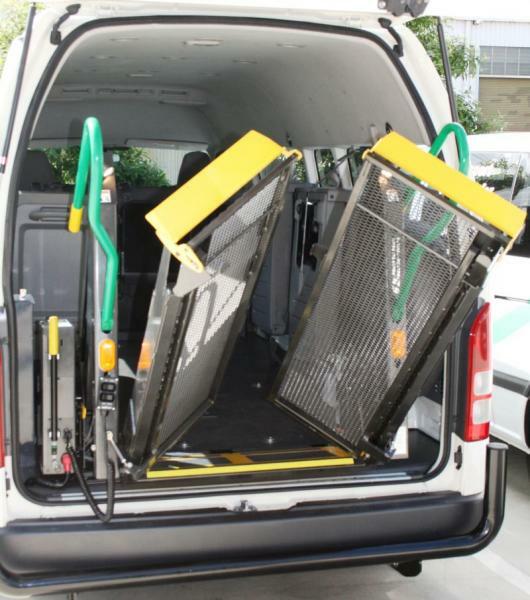 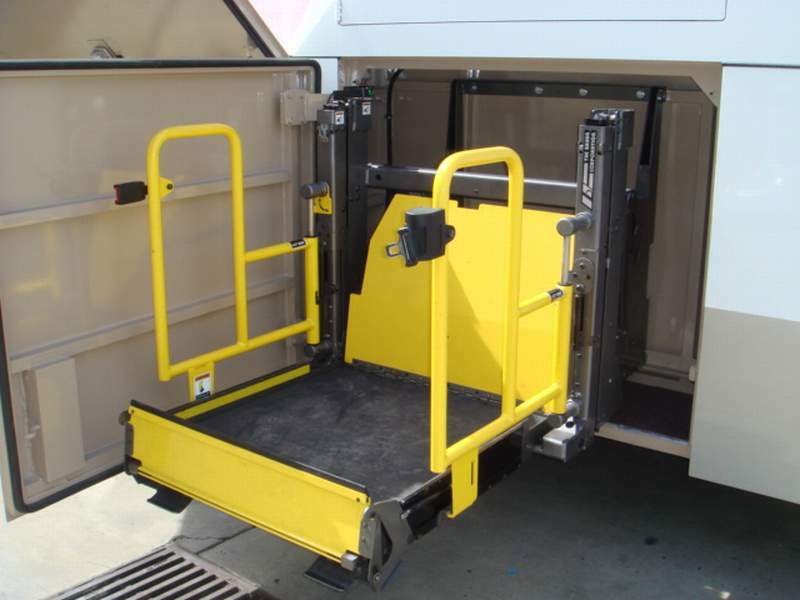 We offer a wide range of BRAUN loaders to suit many types of applications; these loaders are fitted in combination with the Q’STRAINT wheelchair restraint systems. 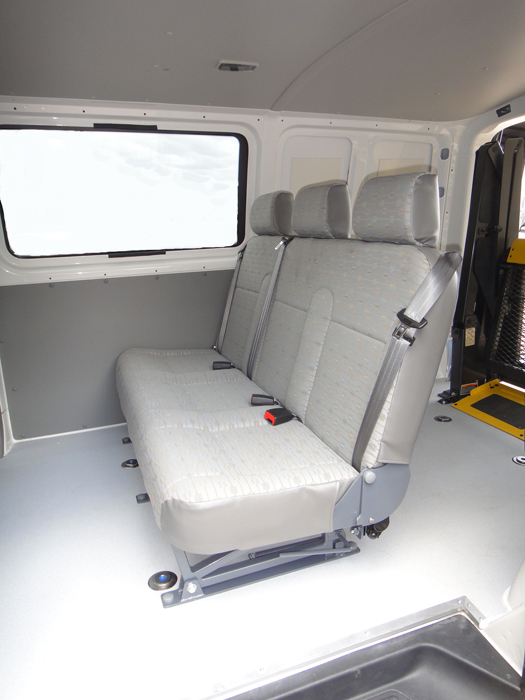 We also install side windows, hood and side wall lining, additional seating and air conditioning if required. 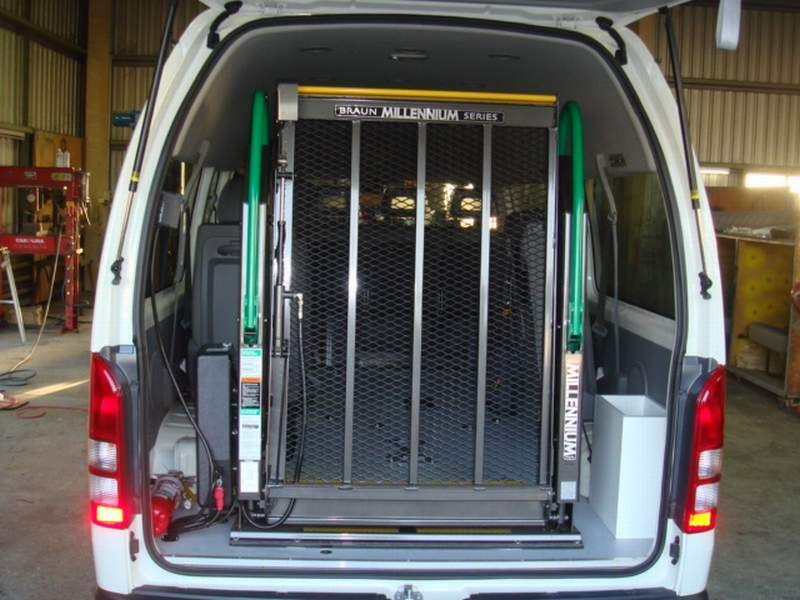 All BRAUN wheelchair lifts are AS/NZS.3856.1, 1998 compliant and all Q’STRAINT wheelchair restraint systems are AS/NZS.2942-1994 compliant. 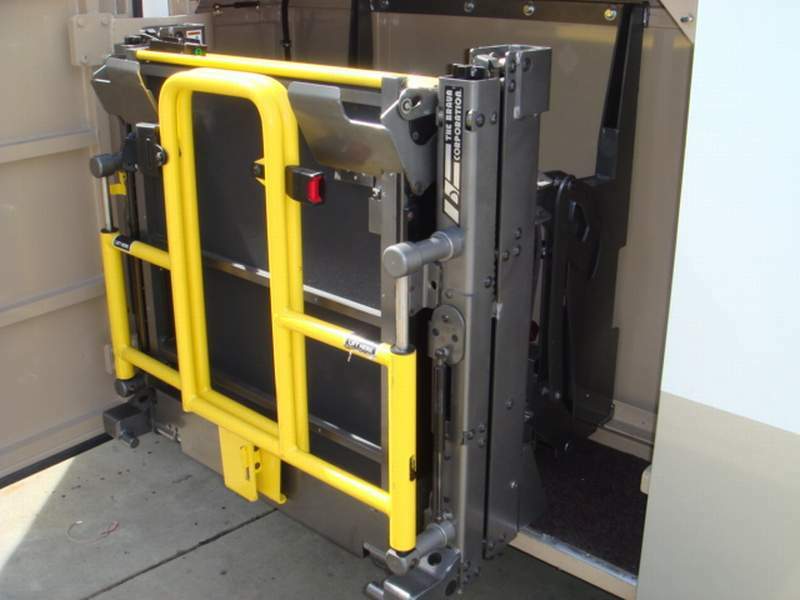 The BRAUN NL500 “Moreton” Baylift is a vertical style lift of compact design that takes up nominal space within the luggage bin area. 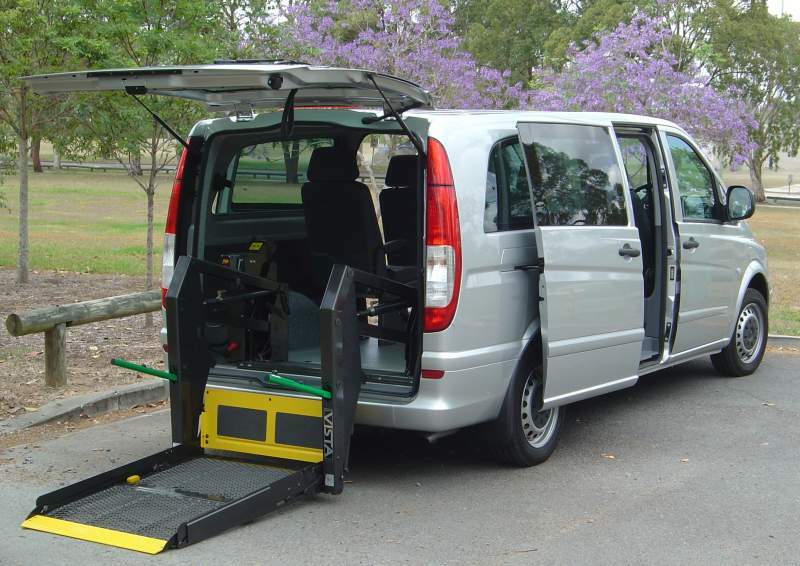 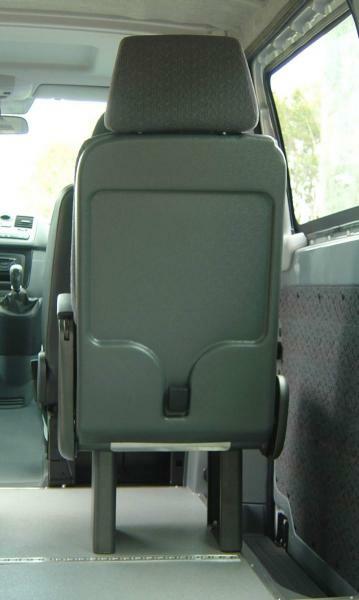 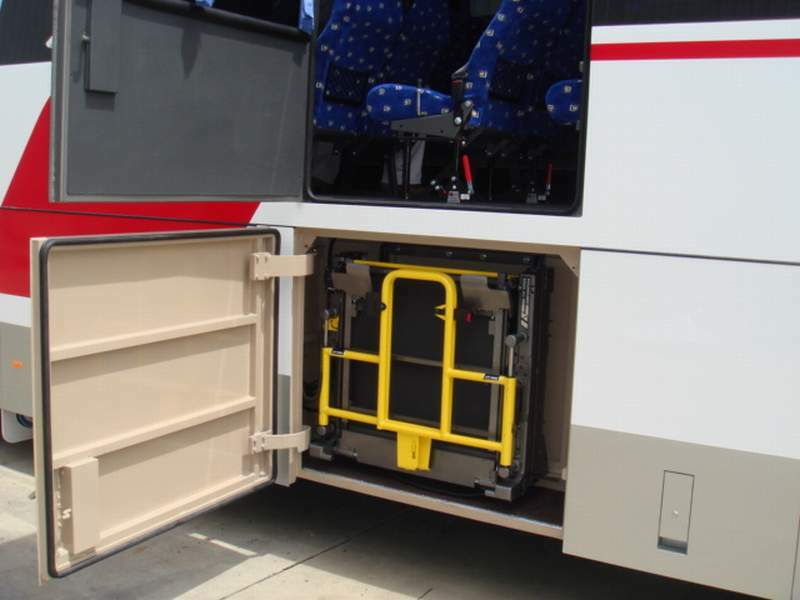 The NL500 has significant advantages over similar lifts available in the Australasian bus and coach sector. 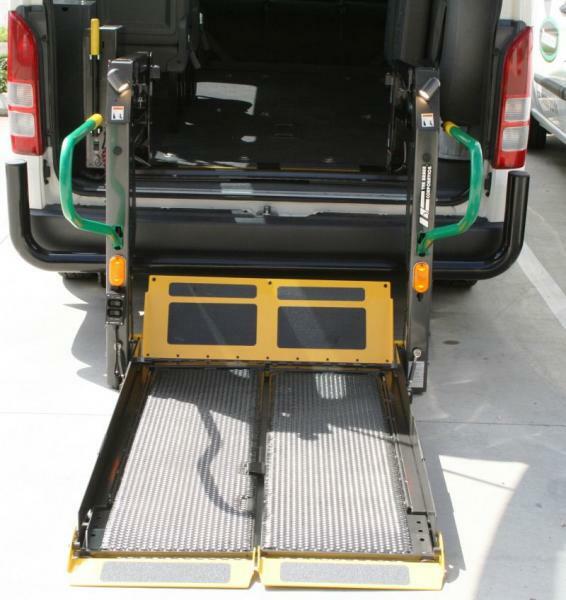 The BRAUN Millennium L918 Series featured in this Toyota Commuter conversion offers a range of different loaders with varying platform sizes to suit a variety of vehicle applications. 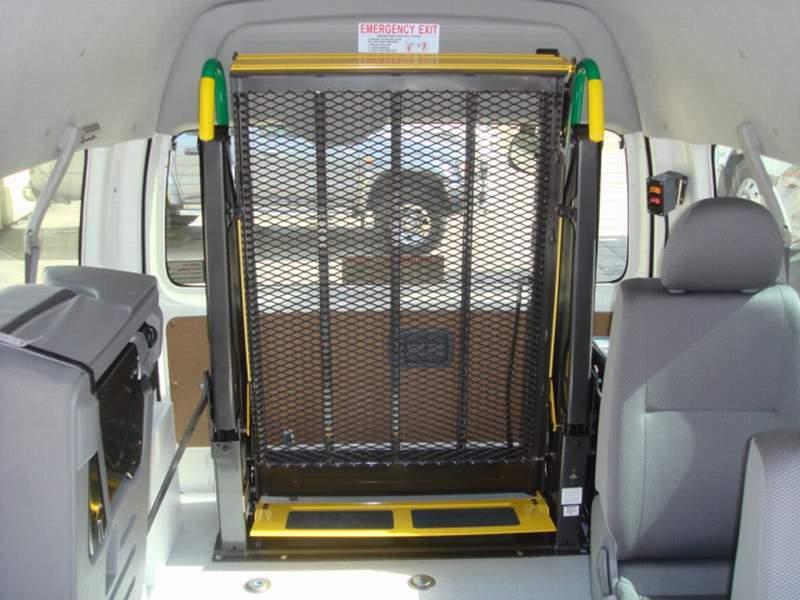 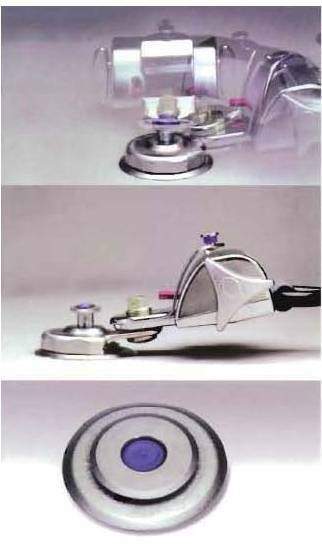 The wheelchair restraints used are the Q’STRAINT QRT MAX with Slide N Click connections. 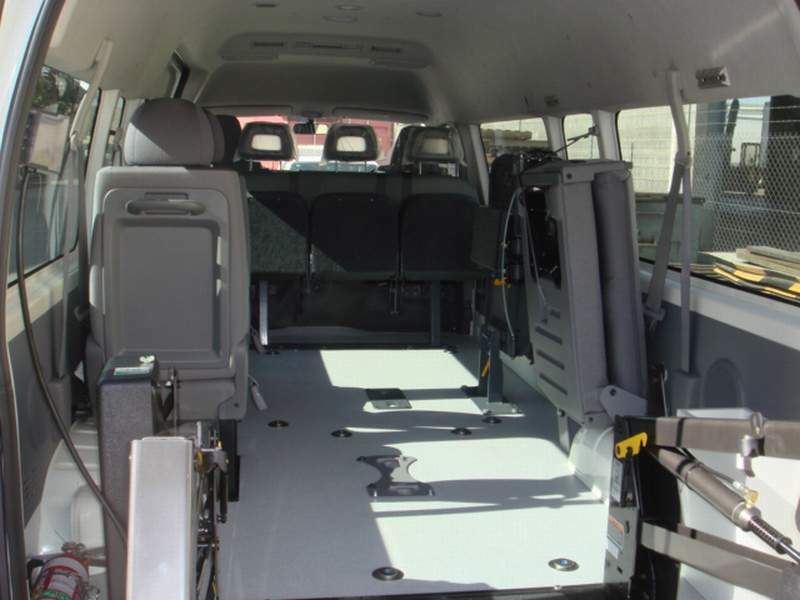 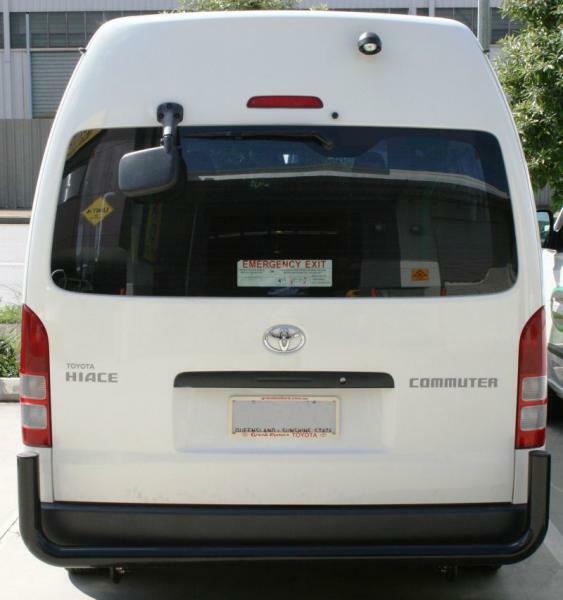 The BRAUN Vista VL998 Series featured in this Toyota Commuter conversion offers a unique split platform that automatically opens during the fold cycle which not only allows for increased visibility but also vehicle interior access through the lift opening. 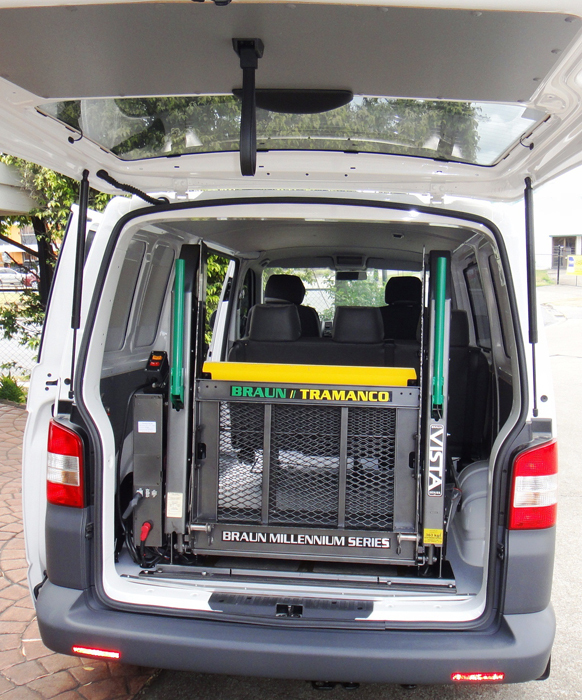 The BRAUN VL995 Vista Series featured here in a VW Transporter is also suitable for the Mercedes Benz Transporter. 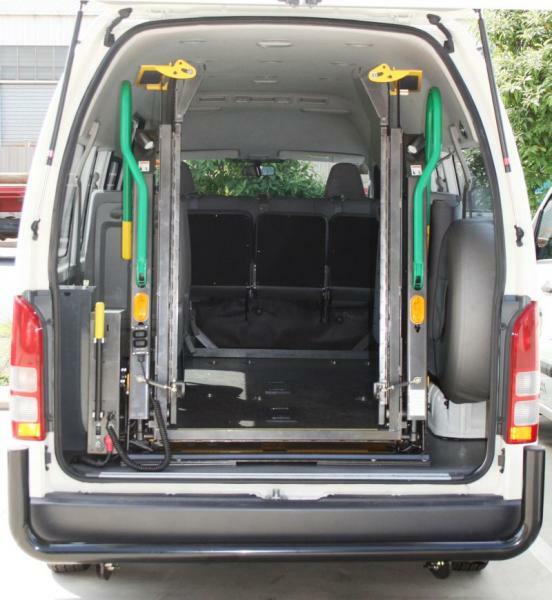 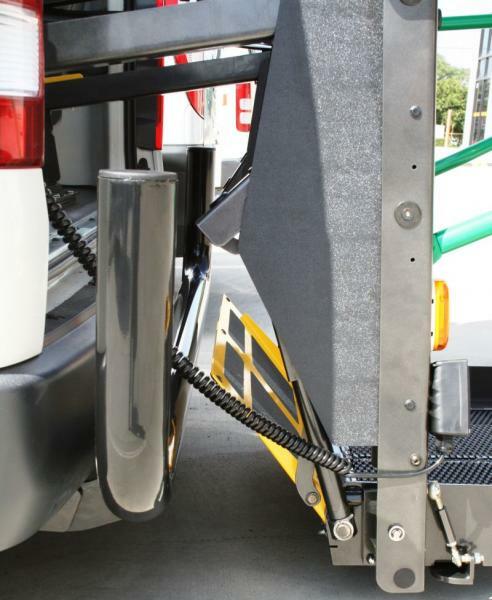 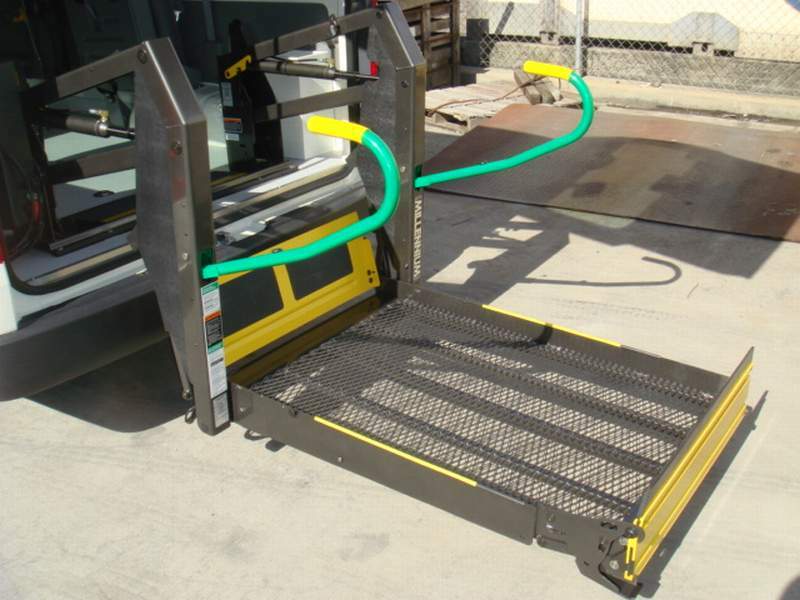 A unique stacking platform improves driver and passenger visibility through the rear window and allows access to the door lock normally blocked by a one piece platform. 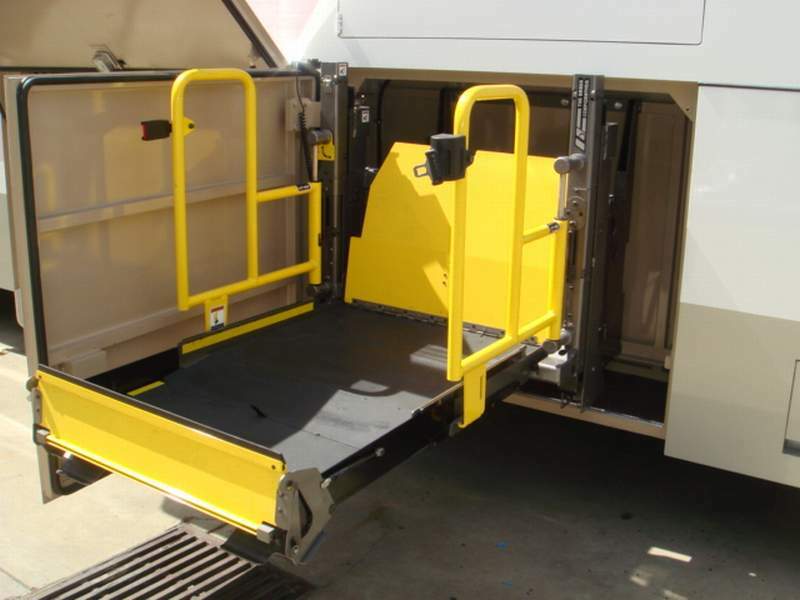 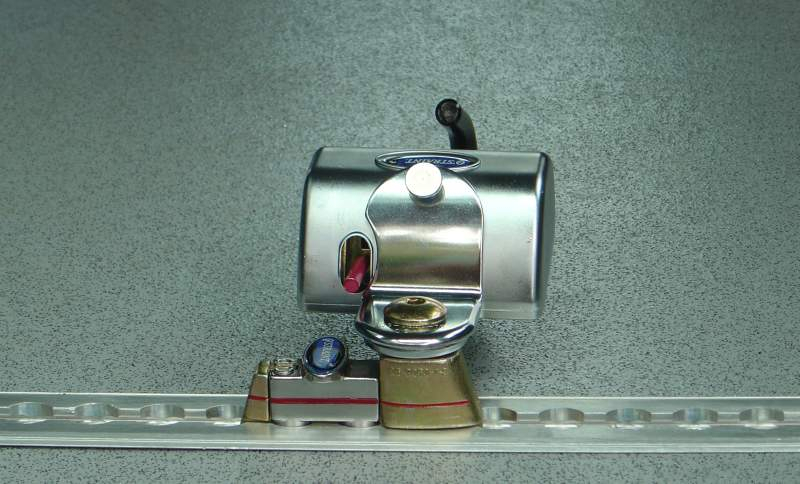 The occupant restraint systems fitted to this installation is the Q’STRAINT QRT-MAX Slide-N-Click.